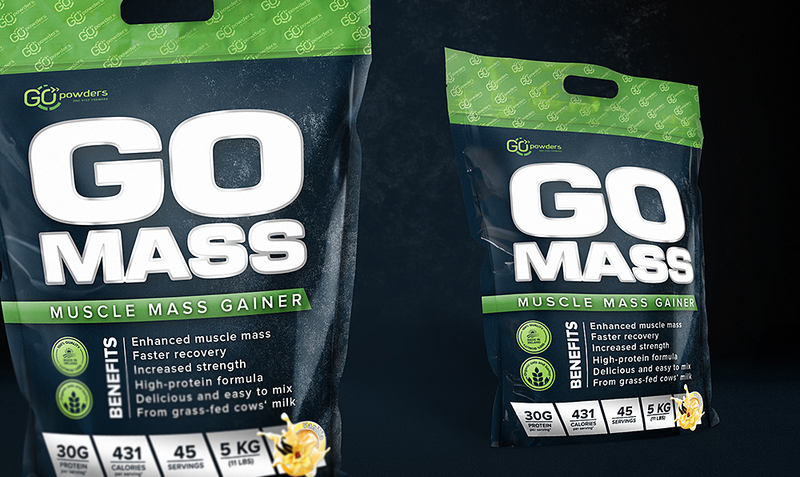 Go Mass muscle mass gainer packaging design is the example of simplicity and minimalism. It was developed after long considerations and discussions with the whole product development team. 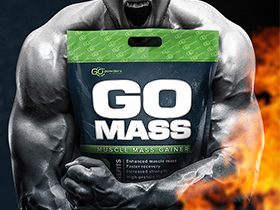 As the product is targeted at young men, it had to clearly represent what is important for this group of consumers. 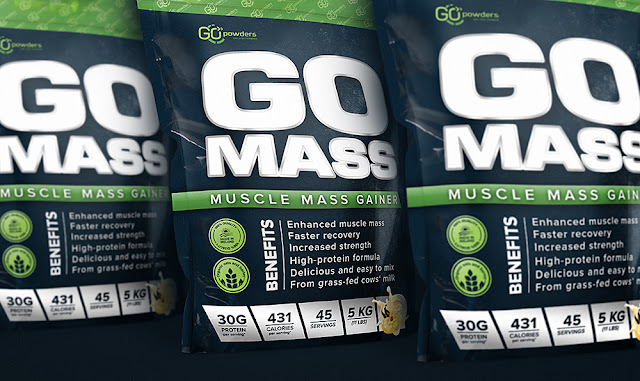 The choice of dark blue coloured background with stone texture helps to communicate the main benefit of using the product – enhancing strength and muscle mass. Massive typography and clear layout of the design adds a touch off „aggressiveness“ which was the key idea of the design concept. The design also communicates the natural origins of the product (product is manufactured from grass-fed cows‘ milk). Green colour adds a hint of naturality to the design. 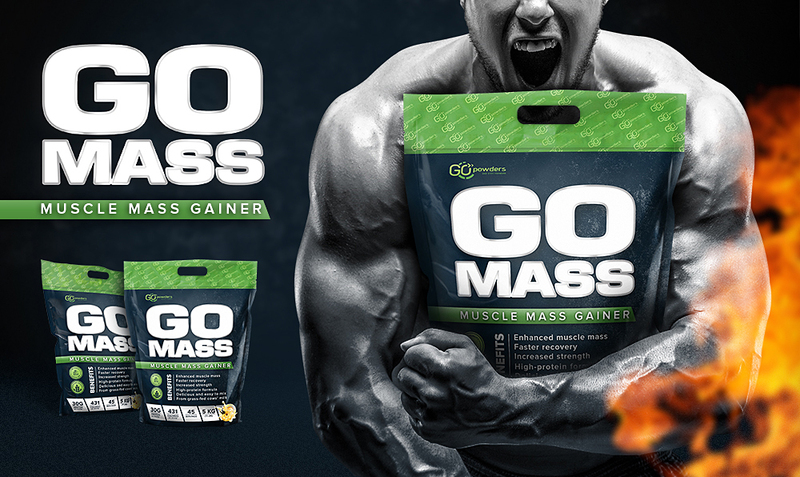 Four different tastes of GO MASS muscle mass gainer were created by adding different taste stickers in the bottom of the bag (vanilla, strawberry, cookies and cream and chocolate).